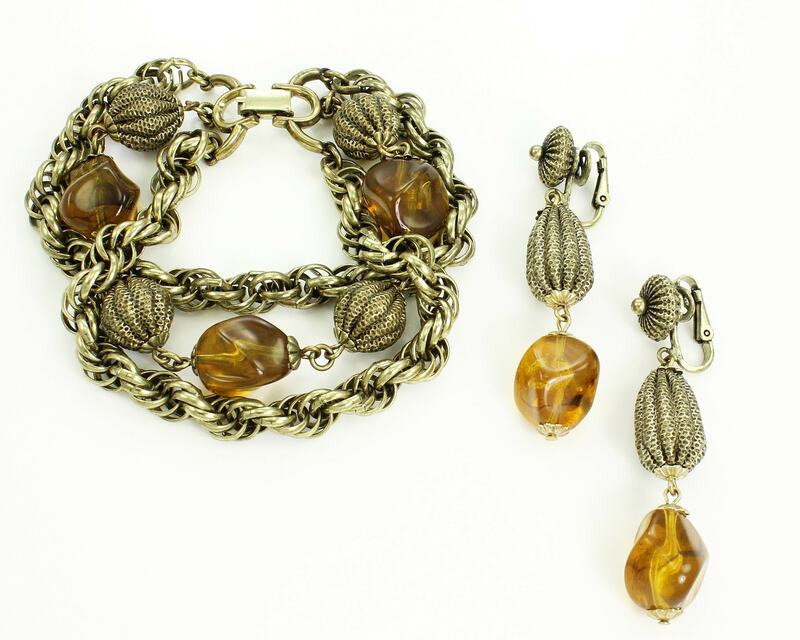 Vintage Crown Trifari Bracelet and Earring Set in Antique Gold Tone and Topaz Glass. 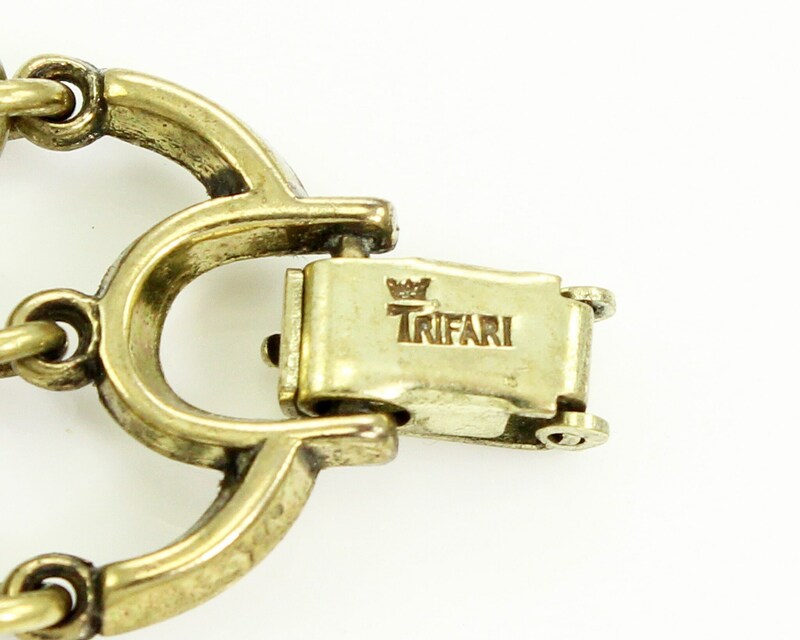 Made in the late 1940s or early 1950s, this set is chunky with bold textures and movement. 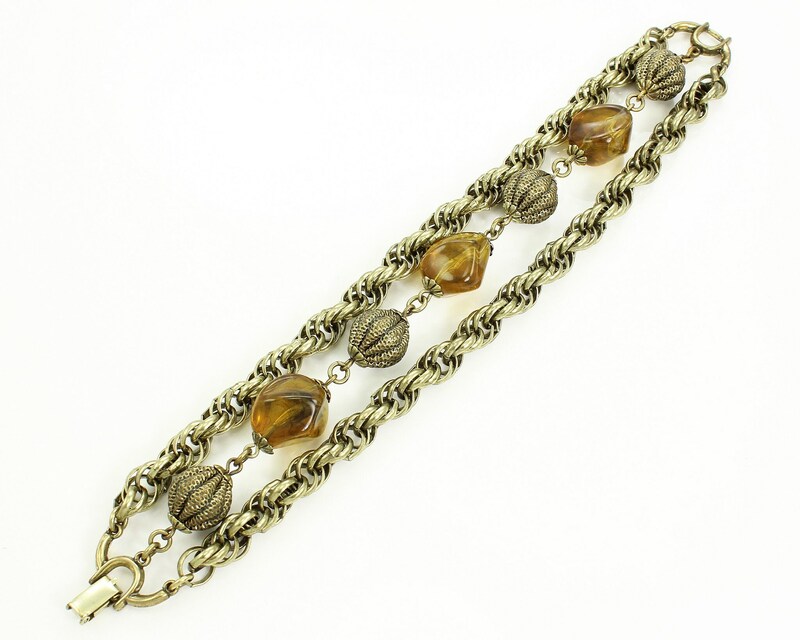 The bracelet features a center strand of alternating topaz glass and metal mesh melon beads, framed by thick rope chain on either side. 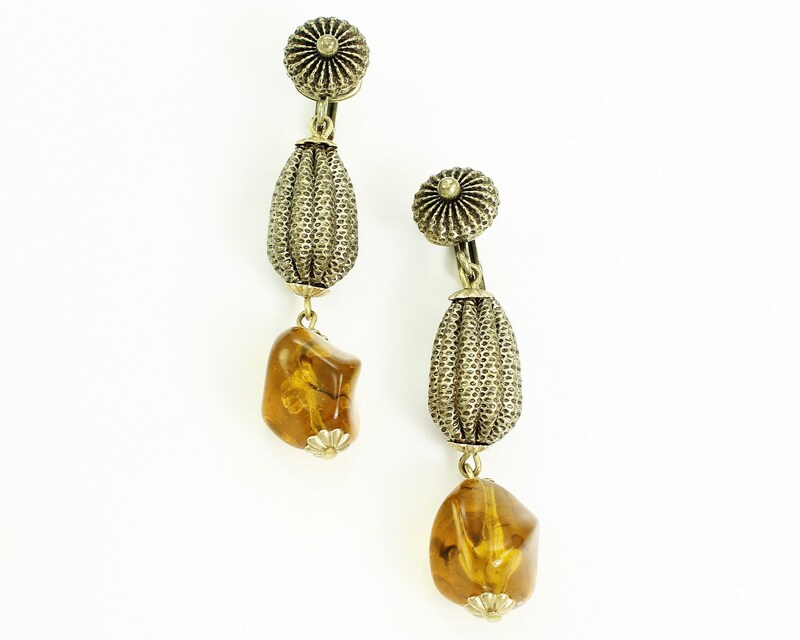 The coordinating earrings share the same glass beads and more dramatic metal mesh beads. CONDITION: In excellent vintage condition with no damage noted. MEASUREMENTS: Bracelet is 1 1/4" wide and is 7 1/2" long. 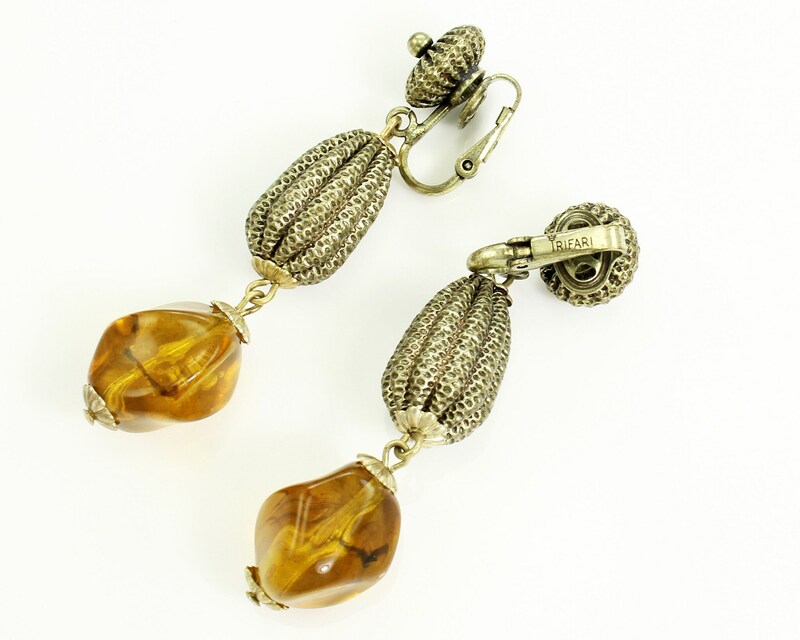 Clip on dangle earrings measure 2 1/2" long by 1/2" wide.